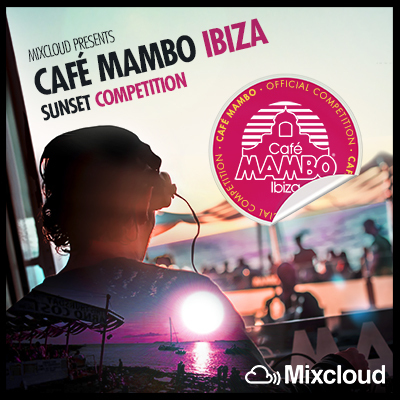 Café Mambo Ibiza Competition – The global community for audio culture. Since being established in 1994, Cafe Mambo have firmly established themselves as one of the most important clubbing experiences Ibiza has to offer. The iconic venue regularly hosts DJ’s of the caliber of Paul Oakenfold, Groove Armada and Faithless – they also won the prestigious Best Bar in Ibiza Award for the second time in 2007. Besides the lineups they stage, Café Mambo are just as renowned for their sunset sessions; taking the beach-clubbing experience to another level with their eclectic musical choices. Check out our competition here for your chance to play a sunset gig at Café Mambo, as well as being considered for upcoming Resident DJ openings at the venue and affiliated bars.